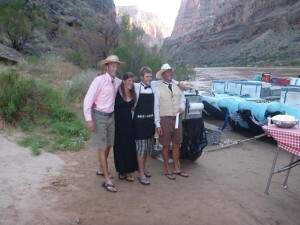 Grand Canyon Rafting Trip – Spectacular Scenery, Outstanding Guides, Great fun! Well organized Grand Canyon rafting trip from beginning to end. Western River Expeditions guides were terrific, experienced, skilled, knowledgeable, personable - did everything they could to make it a special trip. They were good cooks and entertainers. Can't beat sleeping under the stars with clear dark skies. This is the best way to see the Grand Canyon.